The University of Technology of Sydney (UTS) has signed a PPA with the Walgett Solar Farm which will cover 50% of its energy usage. The $40m Walgett Solar Farm was approved by the NSW government last year – it will eventually output 32MW and is now reaching the next stage of its project lifecycle. The farm is owned fully by Epuron, who will be able to commence construction on the project after signing this PPA with UTS. “For our renewable projects to be able to attract finance and get built, it’s crucial to find suitable partners to become committed customers and provide certainty,” Epuron Director Martin Poole told PV Magazine. “With the UTS commitment to purchase our clean energy output, the Walgett Solar Farm can move ahead and we look forward to commencing construction in the coming months.” Mr Poole continued. The project is expected to be built in two stages with the first stage outputting around 15MW. The Walgett Solar Farm will generate approximately 63,000MWh p.a. once complete – enough to power almost 10,000 homes in New South Wales. This is the third PPA UTS have signed to add to its renewable portfolio – their main goal, as we wrote last year, is to completely offset their energy usage with renewable energy via a $1.3b ‘City Campus Master Plan’. 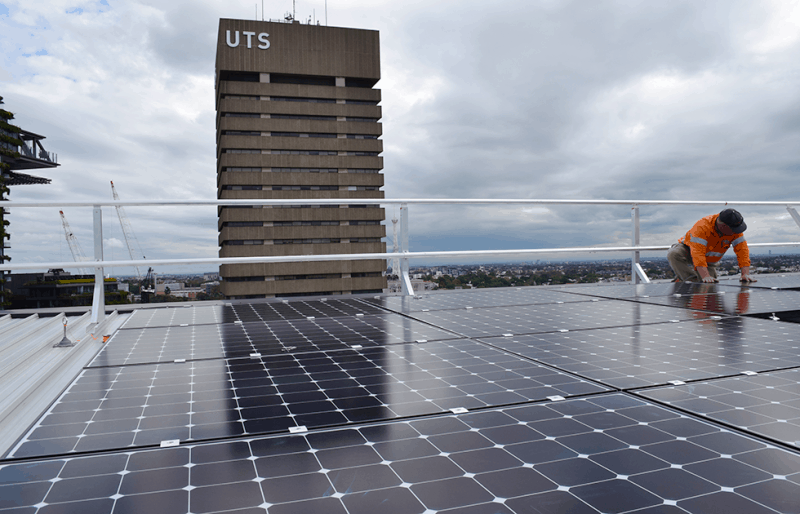 They’ve installed six solar systems on rooftops at the UTS campus and, by 2020/21, are hoping to reduce their emissions 30% on 2007 levels. In other university solar news, the University of Newcastle is doing great things with printed solar cells.